The presence of a lump in the breast is a great cause of anxiety and apprehension in females. Of these lumps, the most important diagnosis is cancer of the breast and the most common lumps are benign. The aim of this study is to review and analyse the histological diagnosis of breast lumps of patients seen in the department of surgery in a peripheral hospital in Nasik, Maharashtra. This is a retrospective study covering a period of 2 years wherein histopathology reports of 90 patients aged 20-60 years who presented with breast masses underwent excision biopsy in the department of surgery in a peripheral hospital in Nasik, Maharashtra were studied. During the 2-year period, 90 patients aged 20-60 years who presented with breast masses underwent excision biopsy. 35 patients had right sided breast lumps, while the left breast was involved in 55 cases. The histological diagnosis showed that 88 patients (97.77%) had benign disease while 2 had malignant tumours (2.22%). Fibroadenoma was the commonest benign tumour encountered, phyllodes tumour was relatively uncommon. The ages of patients with fibroadenoma ranged from 20 to 40 years .Of the 2 patients who had carcinoma, one was below the age of 40 years and the other one was above 50 years of age. Benign breast diseases, i.e., fibroadenoma, fibroadenosis, phyllodes tumour are the commoner breast diseases and not all breast lumps are cancerous. Age is a strong determinant of risk for breast cancer and breast lumps in patients above 40 years of age should be offered excision biopsy and subsequent histopathological examination. The importance of histopathological analysis of lumps cannot be overemphasized. The increase in the size of the lump increases proportionately with increasing age. Maharashtra/ Nasik bölgesindeki periferik bir hastanenin cerrahi bölümünde küçük göğüs kitlesi nedeniyle eksizyonel biyopsi yapılan hastaların histolojik tanılarının gözden geçirilmesi. 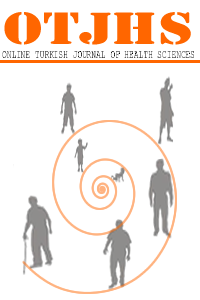 Bu çalışma biyopsi metaryallerinin, histopatolojik raporlarının 2 yıllık bir döneminin incelendiği retrospektif bir çalışmadır. İki yıllık dönem geriye doğru tarandı. Memede kitle ile başvuran 20-60 yaşları arasındaki toplam 90 hastanın eksizyon biyopsisi raporuna ulaşıldı ve çalışmaya alındı. 35 hastaya sağ ve 55 hastaya sol meme kitlesi nedeniyle biyopsi yapıldığı tespit edildi. Histolojik tanılar incelendiğinde 88 hastanın (% 97,77) benign, 2 hastanın ise malign tümörünün (% 2,22) olduğu saptandı. Fibroadenom en sık görülen benign tümördü ve filloides tümörü nispeten nadirdi. Fibroadenomalı hastaların yaşları 20 ile 40 arasındaydı. Karsinomu olan 2 hastanın biri 40 yaş altı, diğeri 50 yaşın üzerindediydi. Fibroadenom, fibroadenosis, filloides tümörleri vb gibi benign meme hastalıkları yaygın görülen meme kitleleridir ve tüm meme kitleleri kanser değildir. 40 yaşın üzerindeki hastalarda meme kanseri ve meme kitleleri için yaş önemli bir belirleyicidir, bu yaş hastalara eksizyon biyopsisi ve histopatolojik inceleme yapılmalıdır. Tümör kitlesinin histopatolojik analizinin önemi üzerinde fazla durulmamıştır. Kitle büyüklüğündeki artış, artan yaşla orantılıdır. Njeze GE. Breast Lumps: A 21 –year single –center clinical and histological analysis. Nigerian J of Surg. 2014;38-41. Swartz SI, Shires GT, Spencer FC, Daly JM, Fischer JE, Galloway AC. Breast In :International ed. Principles of Surgery. 7th ed.Vol.1; 1999: 550-552. Courtney M Townsend, R Daniel Beauchamp, B Mark Evers, Kenneth L Mattox. Diseases of the Breast In: Restricted South Asia ed. 19th ed. Sabiston Textbook of Surgery The Biological Basis of Modern Surgical Practice. Vol1: 2012; 839. Barton MB, Elmore JG, Fletcher SW. Breast symptoms among women enrolled in a health maintenance organization: frequency, evaluation, and outcome. Ann Intern Med. 1999;130:651–7. Jemal A, Siegel R, Ward E, et al. Cancer statistics, 2008. CA Cancer J Clin. 2008;58:71–96. Ries L, Melbert D, Krapcho M, et al. SEER Cancer Statistics Review, 1975-2005. National Cancer Institute; Bethesda, MD: http://seercancergov/csr/1975_2005/, based on November 2007 SEER data submission, posted to the SEER website, 2008. Antoniou A, Pharoah PD, Narod S, et al. Average risks of breast and ovarian cancer associated with BRCA1 or BRCA2 mutations detected in case series unselected for family history: a combined analysis of 22 studies. Am J Hum Genet. 2003;72:1117–30. Lalloo F, Varley J, Moran A, et al. BRCA1, BRCA2 and TP53 mutations in very early-onset breast cancer with associated risks to relatives. Eur J Cancer. 2006;42:1143–50. Hughes LE, Mansel RE, Webster DJ. Aberration of normal development and involution: A new perspective on pathogenesis and nomenclature of benign breast disorders. Lancet. 1987;2:1316-9. Canny PF, Berkowitz GS, Kelsey JL, LiVolsi VA. Fibroadenoma and the use of exogenous hormones: A case control study. Am J Epidemiol. 1988;127:454-61. Parker SJ, Harris SA. Phyllodes tumors. Postgrad Med J. 2001;77:4258-435. Ralph EL, Daniel RS, Wilma D, Kent CW, Nicholas PL. Breast masses in young women. Am J Surg. 1980;140:779-82. Dupont WD, Parl FF, Hartmann WH, et al. Breast cancer risk associated with proliferative breast disease and atypical hyperplasia. Cancer. 2006;71:1258-65. Santen RJ, Mansel R. Benign breast disorders. N Engl J Med. 2005;353(3):275–285.